NYPD spokesman says firebomb attack in Manhattan did not target two yeshiva students but rather the manager of a nearby business. 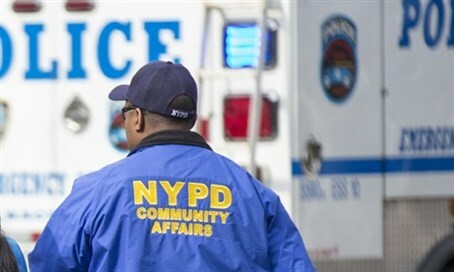 The firebomb attack which took place in Manhattan on Friday did not target two yeshiva students but rather the manager of a nearby food-cart storage business, it emerged on Monday. Original reports indicated that an unidentified man had tossed a firebomb inside a Snapple bottle at two yeshiva students as they stood on a Midtown sidewalk on W. 37th St. near 9th Ave. last Friday. But, speaking on Monday to the Gothamist blog, NYPD Spokesman Sgt. Lee Jones said that someone had gotten into an argument with a manager at the nearby food vendor before the attempted attack. "It looks like an individual got into some sort of dispute with a manager at a food cart storage facility, came back, and threw a bottle containing a combustible substance," Jones told the blog, adding, "Yeshiva students were in the vicinity as well as the Muslim person who was the manager at the food storage facility." Jones also disputed the use of the term "firebombing" telling the Gothamist, "It's not being considered as a firebombing. An unidentified individual threw a substance." Jeff Gilbert, owner of Direct Rush, the courier company that used to occupy what is now the food store and still has an awning up there, told the blog that the notion that there was a dispute with the owner of the store makes sense to him. "That would not surprise me because [people in the food vendor business] regularly rip each other off," he said. "Something about the story didn't sound right to me. These hysteria mongers go out and they blow things out of proportion when really it's just one crazy going after another."